Home › Niteesh K. Choudhry, M.D., Ph.D.
Niteesh K. Choudhry, M.D., Ph.D.
Niteesh K. Choudhry, M.D., Ph.D., is an associate professor of medicine at Harvard Medical School and an associate physician in the Division of Pharmacoepidemiology and Pharmacoeconomics and the hospitalist program at Brigham and Women’s Hospital. He received his M.D. and completed his residency training in internal medicine at the University of Toronto, and completed his Ph.D. in health policy at Harvard University. Dr. Choudhry is actively involved in resident education and has won numerous teaching awards, including the Jean Jackson Distinguished Bedside Teacher Award from the Department of Medicine at Brigham and Women’s Hospital. Dr. Choudhry’s health policy research focuses on the development and evaluation of strategies to improve health care quality and reduce spending. He is particularly interested in drug benefit design and the impact of medication costs on adherence for common chronic conditions such as hyperlipidemia, coronary artery disease, and diabetes. In addition to HCFO, he has received research support from the Commonwealth Fund, the Aetna Foundation, CVS Caremark, and the Agency for Healthcare Research and Quality. His work has been published in numerous medical and policy journals including Annals of Internal Medicine, Health Affairs, American Journal of Managed Care, and The New England Journal of Medicine. Since May 2010 Dr. Choudhry has served as the principal investigator on a HCFO grant studying the factors that influence the success of value-based insurance design (VBID) programs. He and colleagues are conducting a series of natural experiments using VBID plans implemented by CVS Caremark, a large pharmacy benefits manager. They are evaluating if there are specific VBID characteristics, such as the amount by which copays are lowered and the drugs that are targeted, that impact patterns of medication use. The research team is developing a system to classify VBID plan differences, surveying plan administrators and sponsors, and using pharmacy claims to determine which VBID features most effectively stimulate medication adherence. In earlier HCFO-funded work that was published in Health Affairs, Dr. Choudhry assessed the evidence supporting the use of VBID and barriers to implementation. 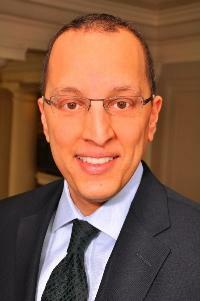 For more information on Dr. Choudhry and his research, please visit his faculty page at Harvard Medical School: http://scholar.harvard.edu/nkc/.